For the ultimate front door in aesthetics, security and energy efficiency, Valley Windows & Conservatories offer a wide selection of bespoke composite doors. These are the latest advancement in technology, manufactured from the highest materials. Our range of composite doors are industry proven to better protect your home. Why opt for a composite door from Valley? 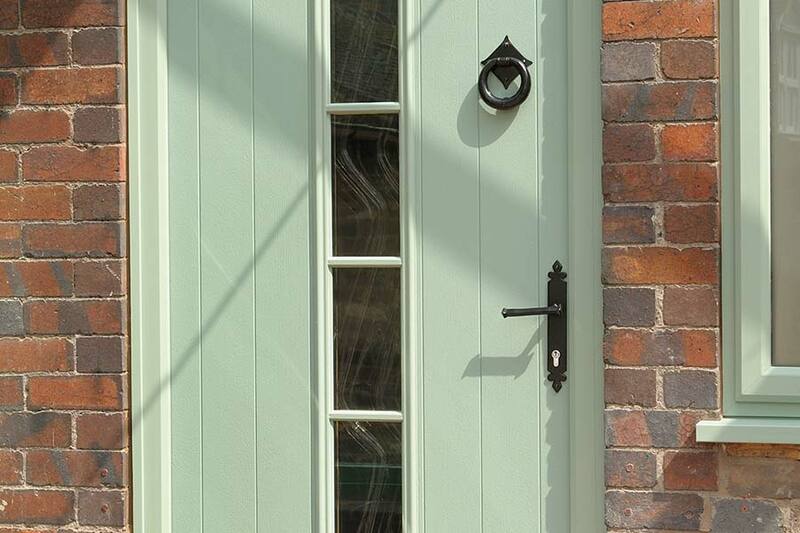 Our composite doors have a unique advantage to other versions on the market, being 10% thicker than what is considered necessary. This results in a door that is at the height of technology with maximum durability and increased strength, ideal for everyday use in the average home. 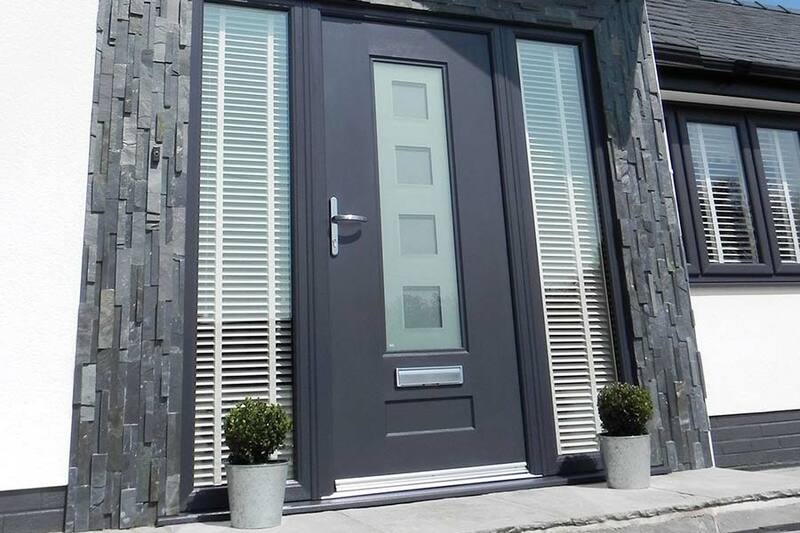 Unlike the separate uPVC and timber materials that culminate to produce them, composite doors are multi-layered to create a door that is thicker, stronger and more robust when compared to the majority of other door styles available. Coated in an additional GRP (glass reinforced plastic), your new door is highly protected against weather as well as looking stunning. This unique multi-layered timber core only found in composite doors also makes it so that heat has an increasingly hard time escaping from your property, making for a more comfortable and warmer home as a result. 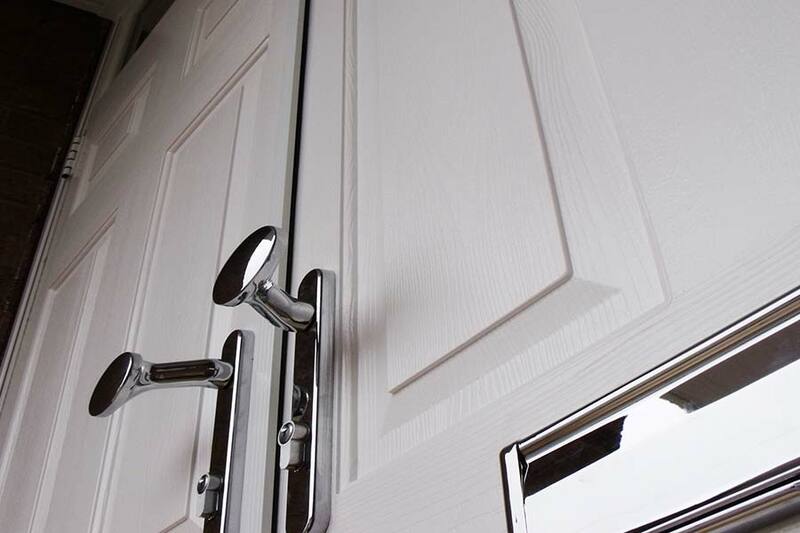 The timber core incorporated into the design of our composite doors means that they are exceptional thermal retainers. Largely thanks to their uPVC foils that feature a grained look, your door will not only provide an authentic timber appearance but will never be prone to cracking, splintering or shrinking. These doors performances are well beyond the required levels of both security and durability, acting as a hybrid between uPVC and timber entrance door styles. 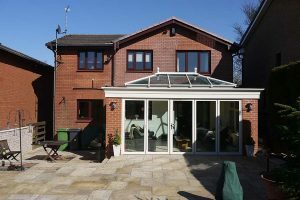 A composite door from Valley Windows & Conservatories is the perfect choice for those who want to benefit from exceptional energy efficiency whilst always remaining secure. 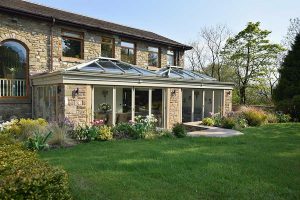 Standard features include: ten-point locking, 3D flag hinges, triple glazed units and double rebate system as well as many other optional extras. Why choose a composite door from Valley?